Late in 2018, I was commissioned to build a high power Deluxe designed to accommodate a wide range of power tubes, including EL34 and 6384. As the Speed Shop already had an existing 6L6 amp platform, what was required was a revamp of that amp so as to incorporate the optional use of EL34 power tubes... and 6384s, if desired. 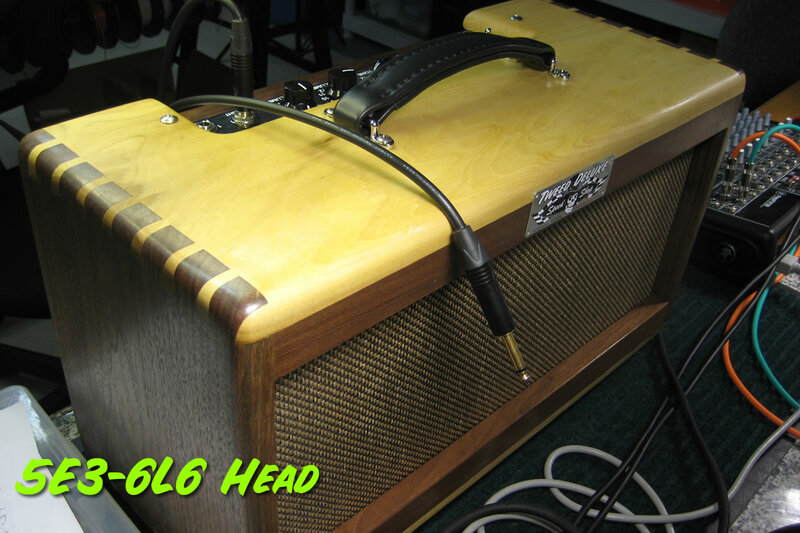 The high power 5E3-6L6 amp is the result of months of extensive research, testing and auditioning. Because this amp is designed to run many different power tubes, the work involved was considerable so as to ensure the performance would be as good as it could be - and it sounds fantastic! Please select the "Notes" tab above to read some of the remarks I recorded while developing this amplifier - there is no better way to convey the discoveries I experienced. Please check out the video demos below as well. 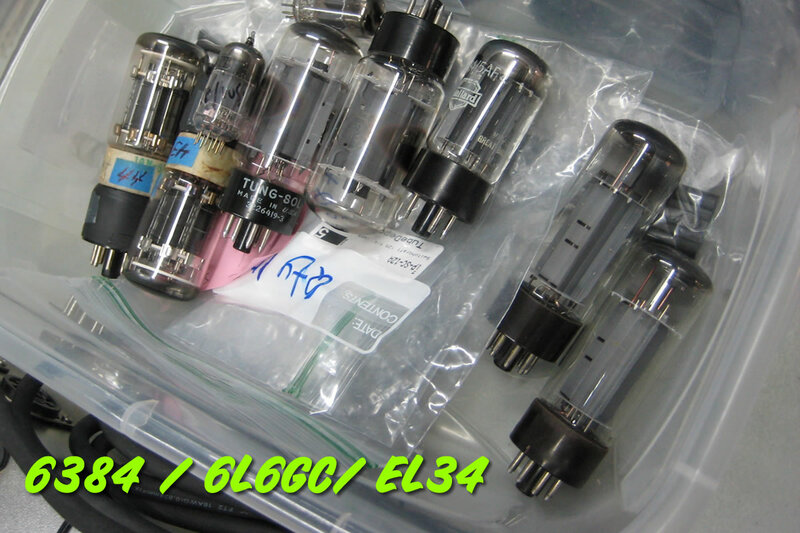 All these tubes have been thoroughly tested by Rondo in his personal 5E3-6L6 and they all sound fantastic. Various rectifier tubes can be used, but there are specific types best suited to particular power tubes. Please contact Rondo for more info. No re-biasing is necessary. Just plug and play. 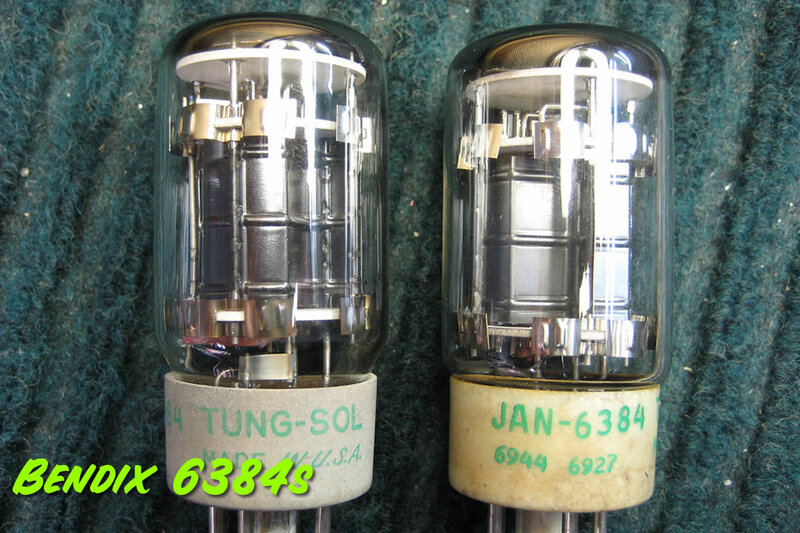 A word about Bendix 6384s: These tubes are very rare and there is basically zero practical information out there regarding their use in amplifiers. They were developed by Bendix to their usual very rugged standards for use in military applications - 6384s are rated for use up to 80,000 feet, 500Gs of shock, and 600 degrees. Pretty crazy. Anyway, they sound great. Output transformer options include vintage or new Mercury Magnetics multi-tap (4/8/16 ohm) units. 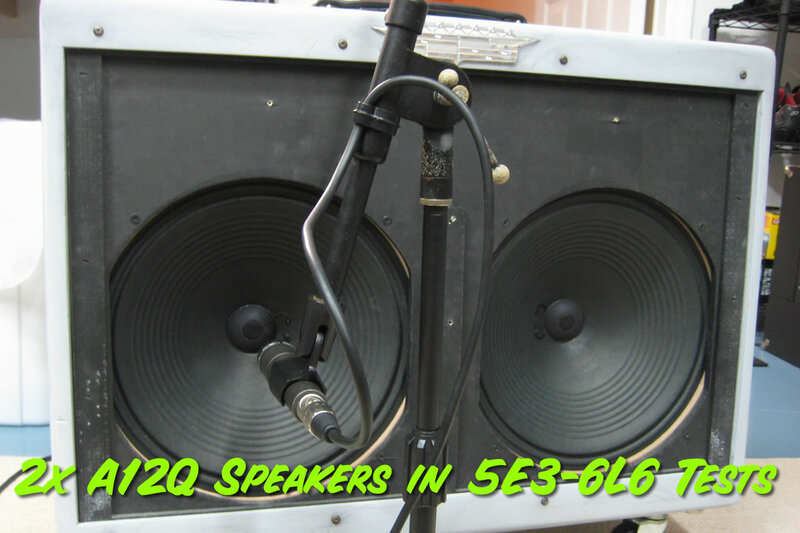 Speed Shop 5E3-6L6s come standard as P2P Studio-Series tuned amplifiers. The best there is. 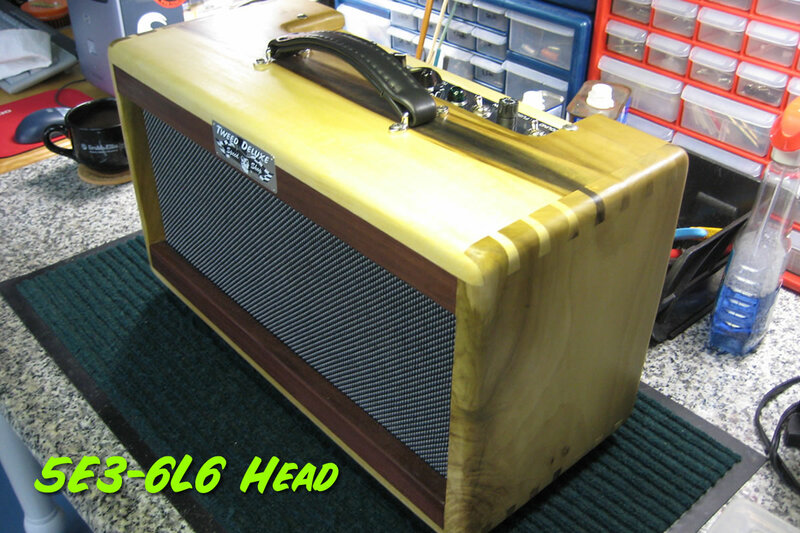 5E3-6L6s are only available in head cabinet form. 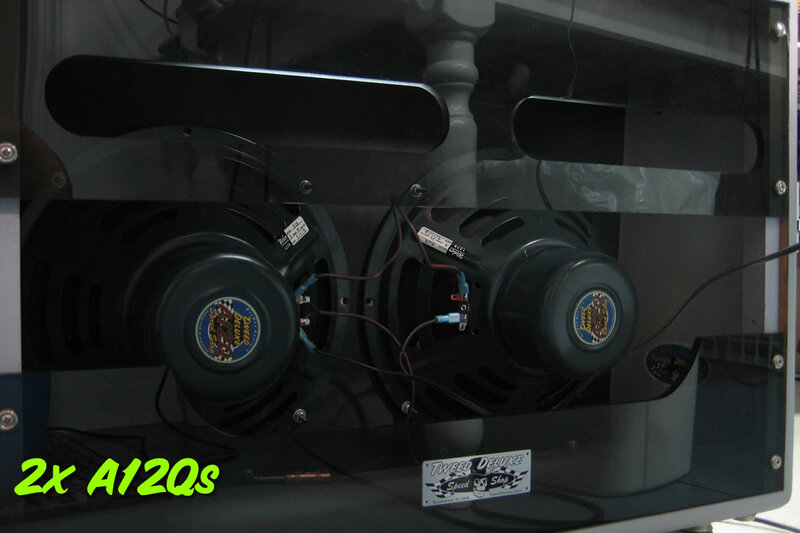 These amps are fully optioned, every upgrade is included as standard. However, customized head cabinets can be ordered and matching external speaker cabinets are available. Contact Rondo for 5E3-6L6 pricing. I think the frequency response is just right with all guitars and the tone is exceptional. It retains much of the standard 6V6 amp nuance but adds a terrific power and tightness that the 6V6 amp does not have. I think of Billy Squier's first couple of records, the rhythm tones especially. Lead tone is very inspiring as well, more similar to the 6V6 amp. I could not ask for more. The A12Qs are perfect for the amp as well. I am very pleased. I have a 6L6 amp that I am going to retrofit to this spec when I have some free time. I've been stuck on the 6384s lately and might go back to try the EL34s again, but I've taken extensive notes and know that it will sound equally great, just a bit different. I think it would take many days of serious playing and listening to really, really understand what difference the power tube swaps make. It's a lot more complicated than it might appear. I've done what I can, but without the ability to spend multiple hours over multiple consecutive days, I have only a general overview of the characteristics of each set. They are all so good it might take you a year to pick a favorite - if there is a favorite. I believe that each tube set has its strengths and could see picking one set over another depending on what you're going for. The EL34s remind me of AC/DC with less low end and that English midrange, the 6L6GCs sound like a great old Fender amp, round and warm with full response. The 6384s have a bit of both, but perhaps are the most fun to play as they have a sound and response all their own. Start changing guitars, pickup selections, gain settings, tone, etc., and you have a million possibilities. This amp absolutely loves single coils. I played the 335 briefly and it sounded great. (That guitar always sounds great overdriven.) Tried my Strat to cover cleans and neck position stuff and it was also great. But, the Tele was giving me everything I wanted so I was happy to just stick with it. Plus, using one guitar throughout the evaluation and tests allowed me to clearly hear the differences between tube sets - without guitar changes mucking things up. Still can't believe that a Tele can sound like that without any pedals - sounds like a Junior when overdriven, but still has the great clean tones. Been a lot of work thus far; lots of thinking, taking notes, tweaking. 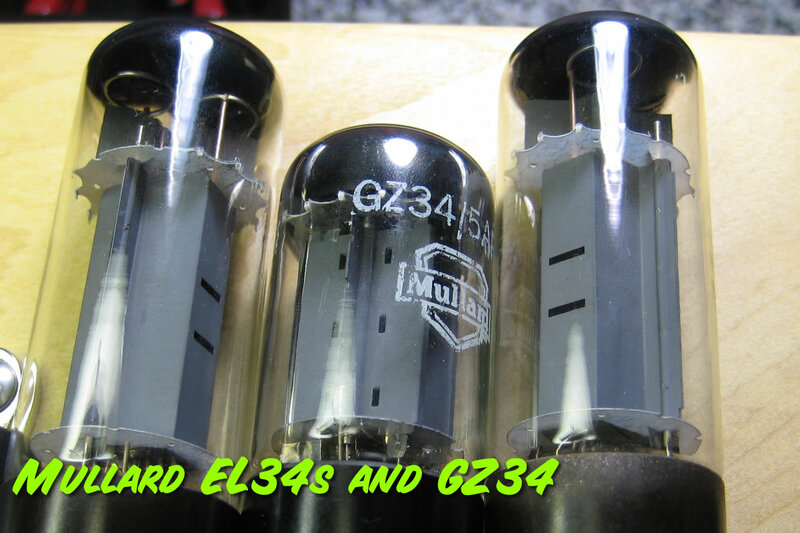 Note on the Strat video below: Going to retrofit my 6L6 amp to run the EL34 tubes and these 6384s. Both really make the presence jump out of the speakers. Still has the 5E3 6V6 DNA but there's something about how it works with these tubes that intrigues me. Really in-your-face and tight. The first half of the demo the amp is set for clean - and it gives so much back it's crazy. It's not crystal clean, but that's what's great about it. Nice sustain, compression and a little hair. Second half is with the amp just about dimed. My Strat has vintage style weak output pickups, so to hear it bark like that is really cool. If I back off a bit on attack the thing cleans up and just shimmers. Still working on that EL34 amp. Just listening and playing. Loves single coil guitars - my Strat is killing at any gain setting. Same with the Tele. Great cleans and great cranked blues tone. Bridge to Neck pickups. Haven't even seriously tried the 335 yet. Those 6384 tubes are rocking. EL34s are less bluesy, but great for crunch. 6L6GC - have to get back to them and see. But the 6384s and EL34s are getting all my attention lately. Really just the 6384s. Playing a little each day, so it will be a while before I understand what's happening across the board. But, this amp may be a monster. It's taking me places I've not been before. Perhaps easier to play and stretch out. Total deserted-island amp. I'm getting the 6V6 nuance with the 6384s - but with a lot more balls. The 2x A12Q speakers are also a great match. I thought I was a humbucker guy, but this rig might make me a single coil player in preference. The DNA of those guitars just comes through even cranked. You can lighten up your touch, when dimed, and it's actually clean and shimmering. Now, I just spent the last few days playing nothing but the EL34 amp with various big tubes, and it sounds pretty monstrous. But, tonight I assembled a standard Deluxe with 6V6s and gave it a play - there is definitely something about this stock setup that can't be duplicated with the big tube version. The stock amp has all the nuance. It does the Crossroads overdrive, the clean Little Wing thing, R&B, Jazz, David Lindley, ZZ Top, Early Dan, etc. ; really a very versatile workhorse. Tons of compression. Easy to get lost playing for hours. Playing it tonight, I was immediately doing Eagles' Already Gone, and it just nails it - as it should. The big amp does much of the same, but I think it's more specialized. Lots of fun. 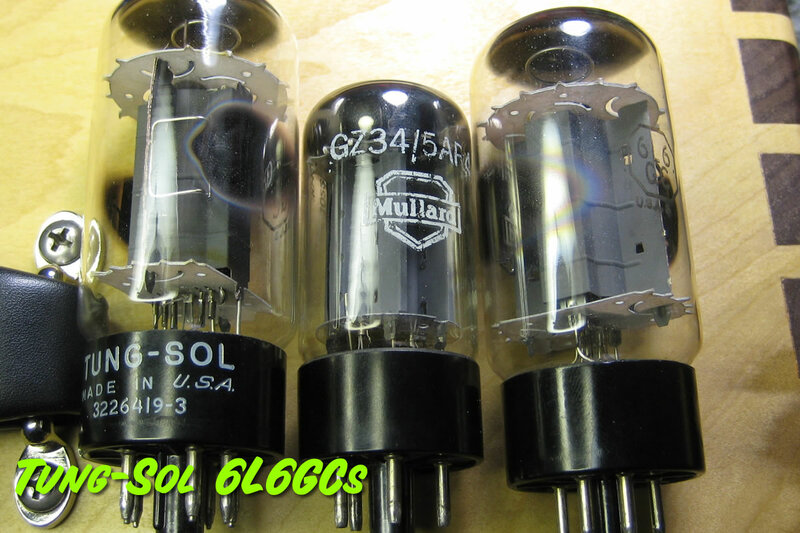 Depending on the power tubes used, you can dial in some great crunchy rhythm with EL34s, great saturated leads with 6384s, 6L6GCs, El34s. Tweed cleans with 6L6GCs. Blackface response with 5881s. Too many options for me. But, I'll spend many more days in order to fully understand what I'm hearing. For sure, it is louder and a faster setup for soloing. More forgiving, too. Whatever the 6L6 amp gives up in nuance, it makes up for in tone. Played my Strat (very weak output guitar) last night with a range of output tubes and it was just great. Very Pete Townshend like rhythm tone. Early Bill Squier. Very tight, bright, focused with a ton of authority. My Tele is as hot as a Junior, for some reason, and just kills with lead tone. The Strat is less hot, with less sustain, but the neck pickup is beauty for that smokey SRV stuff, and the bridge is very spanky. Whatever the guitar, its DNA shines through this rig. Tried some 6V6s (Bendix 5992s) last night as well, and it sounded similar, but with less volume. There are also more mids/highs with the 6V6s, and I have to dial back some tone here and there. Overall, 6V6s are not quite as inspiring to play as the bigger tubes, but still great. Anyway, this amp is not about 6V6s - not about trying to gin up a 15W amp; it's about big guitar Rock; following its lead and having fun. I was looking forward to 5881s, but they disappointed as they reminded me of a Blackface amp. They did not saturate or compress like the others. Least pleasing of the bunch. (EL34s compress like crazy.) The takeaway is that if you want to sit down, turn down the lights, and play Rock guitar, this rig is a spaceship. EL34s, 6L6GCs, 6384s all kick a**. You start mixing different guitars, pickup selections, guitar and amp settings, and there are just tons of tonal shades coming back at you - and all good.